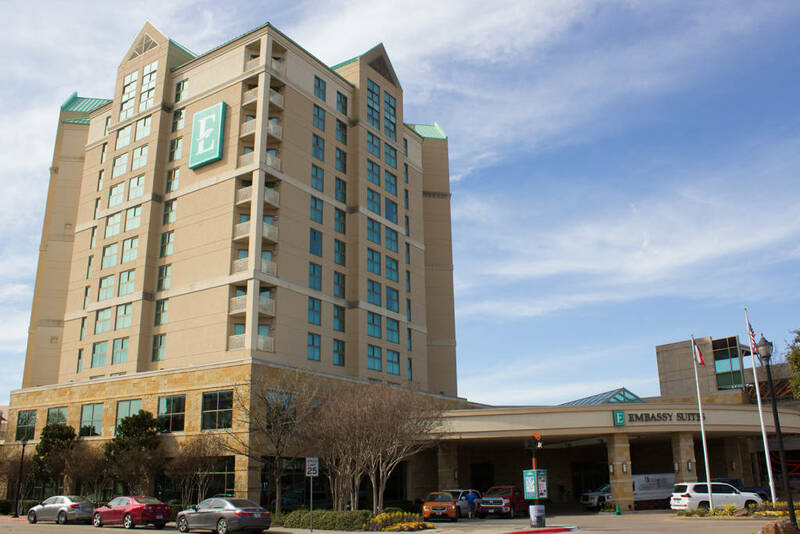 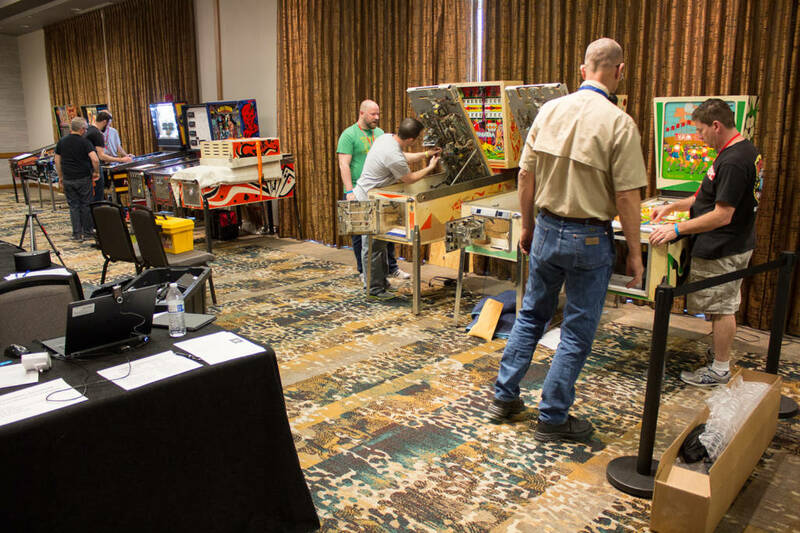 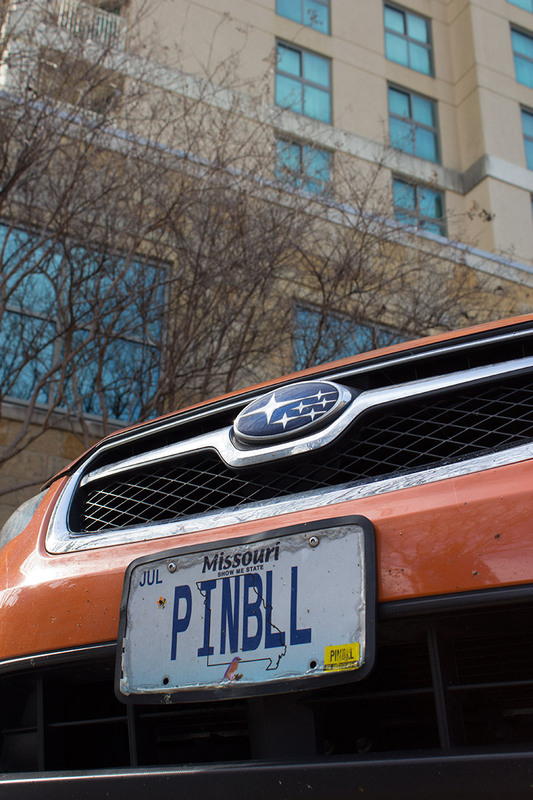 The Texas Pinball Festival is back at the Embassy Suites in Frisco, and so are we. 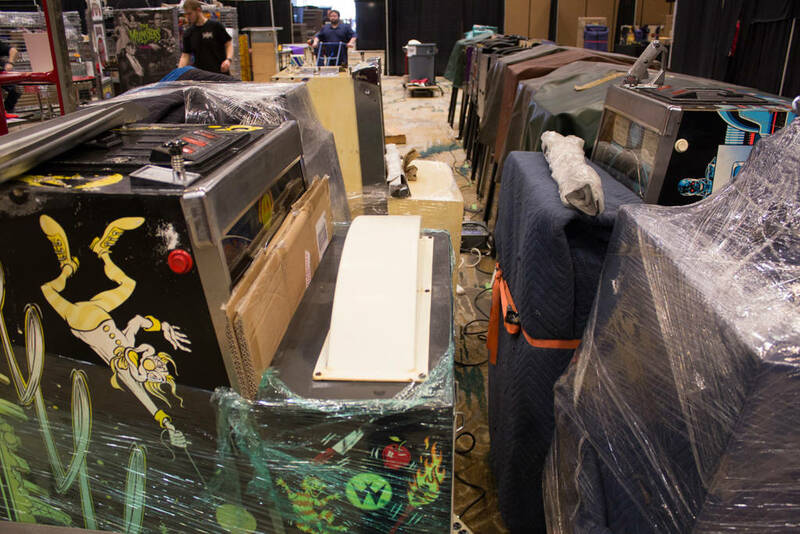 We arrived on Thursday afternoon – a day before the show opens – so we can bring you all the details from the set-up through to the tear down, and we will be updating this report frequently so we can bring you all the events as they happen. 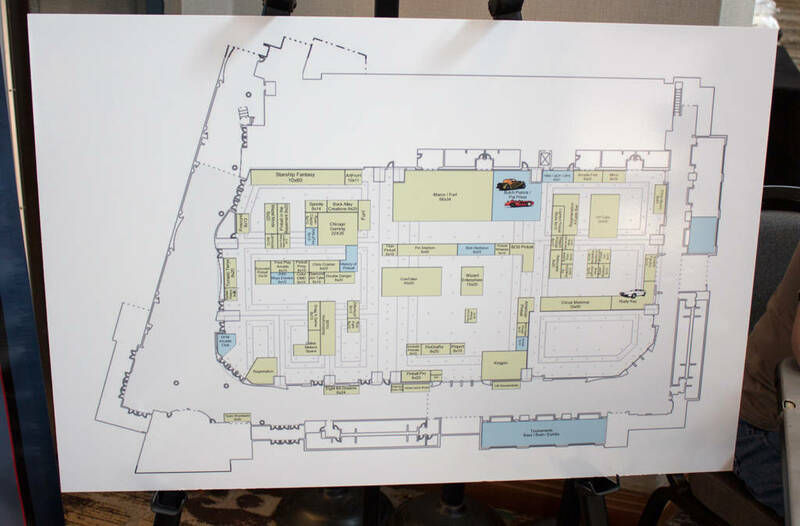 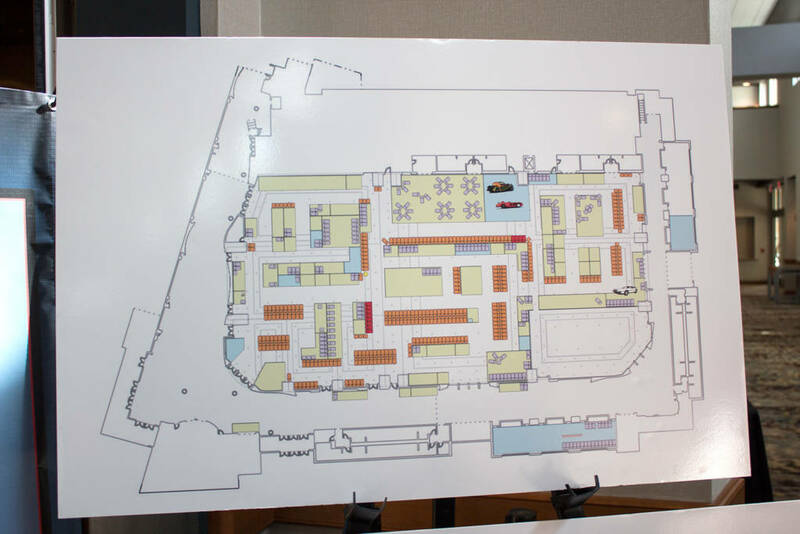 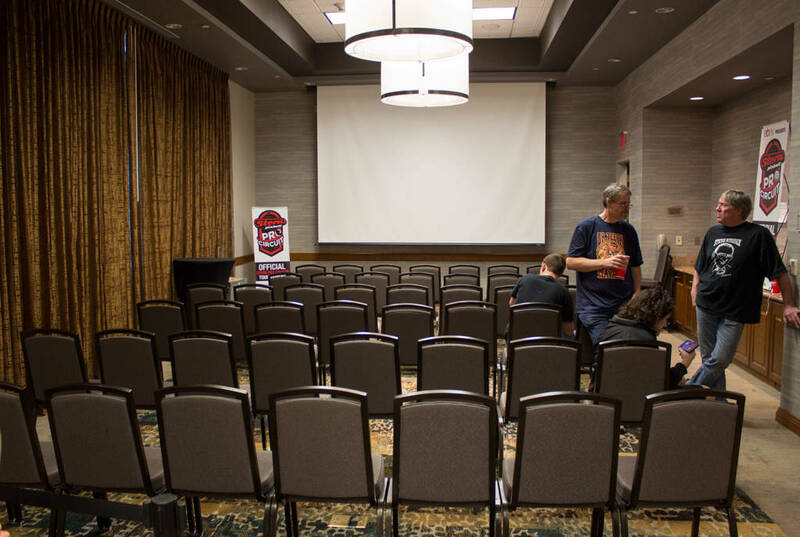 The TPF covers several rooms with the main hall being by far the largest. 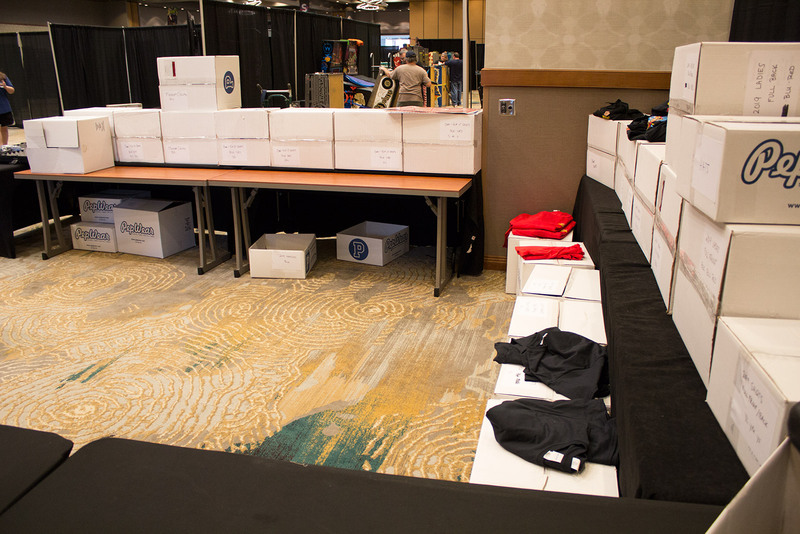 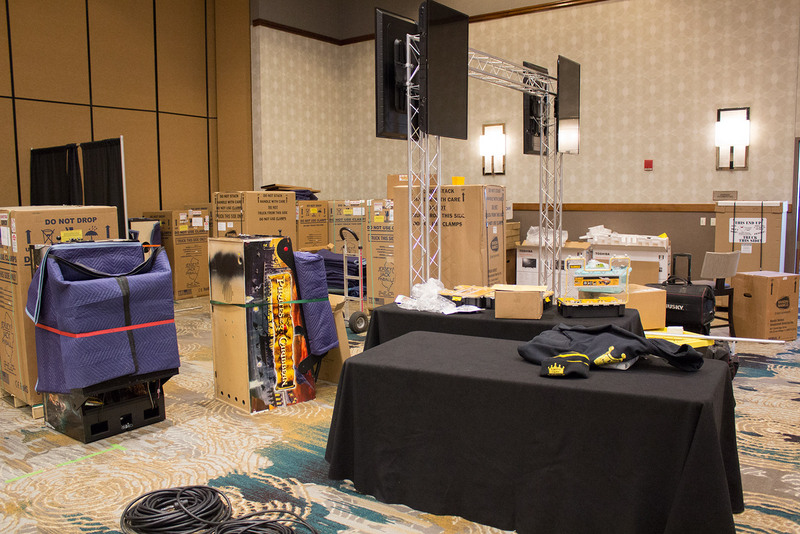 On Thursday, set-up was progressing steadily on the show floor. Machines are brought in through the rear loading doors, where a crew organises the unloading and directs owners to the appropriate staging point before games are taken to their spot in the hall. 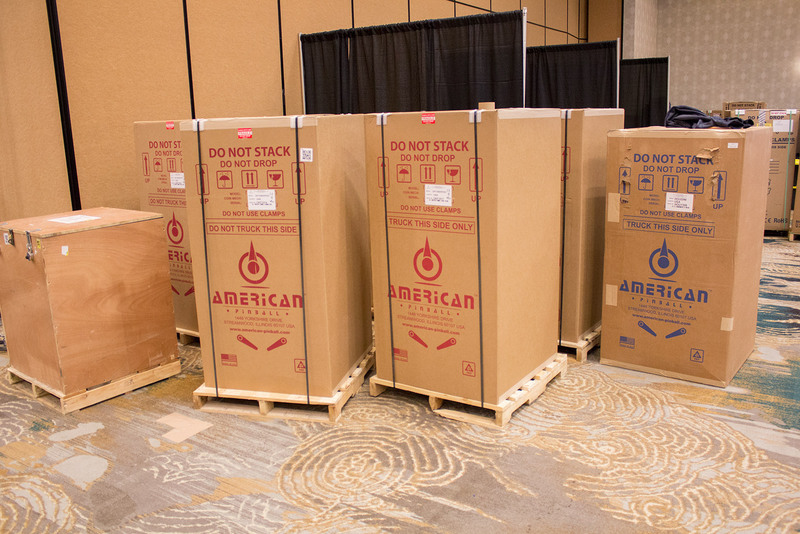 The staging area is even more important at the close of the show when everyone wants to load-up and get away as quickly as possible. 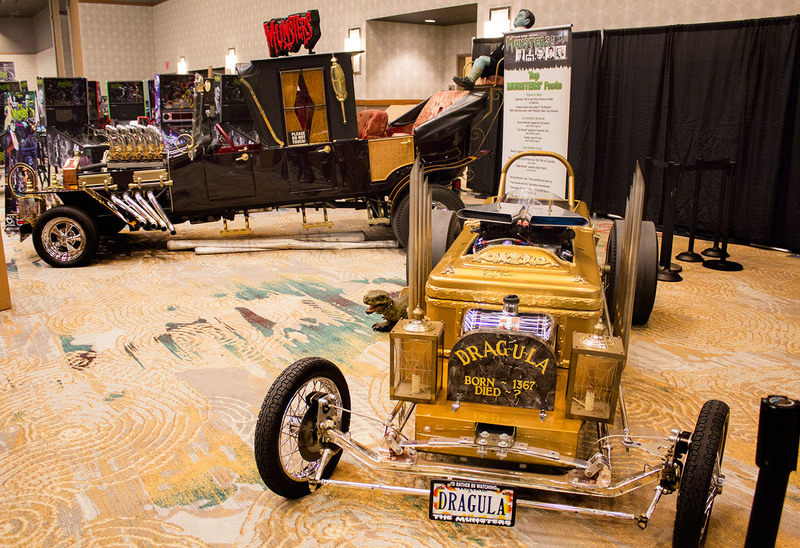 Inside the main hall there is one stand-out stall, and that’s Marco Specialties’ Munster’s display. 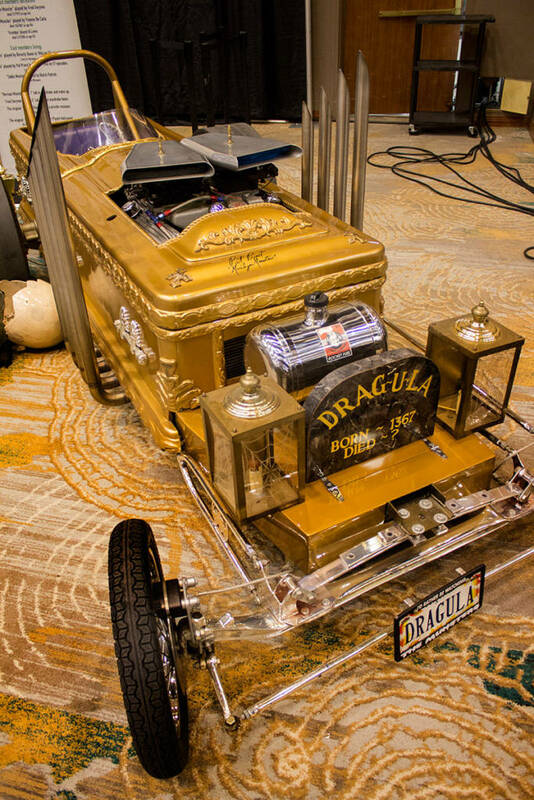 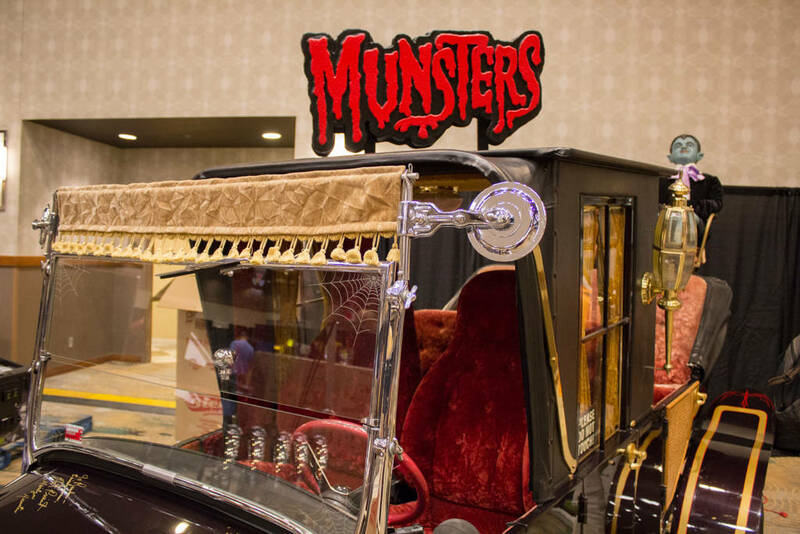 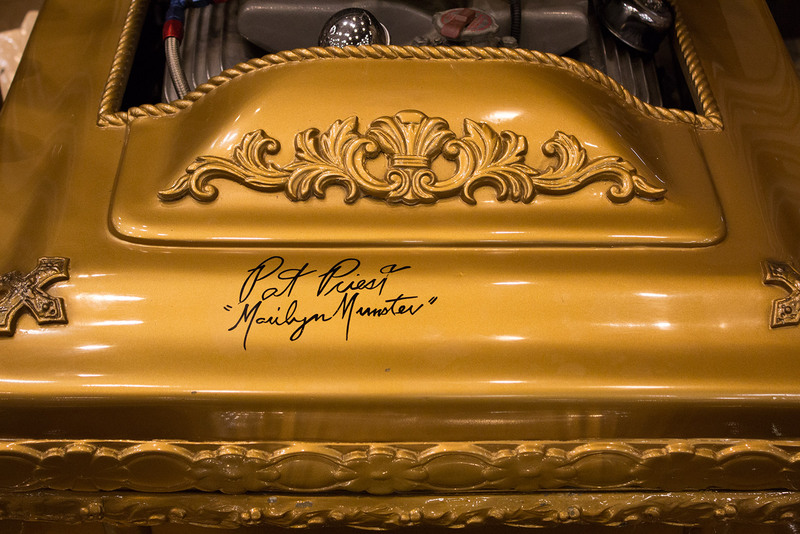 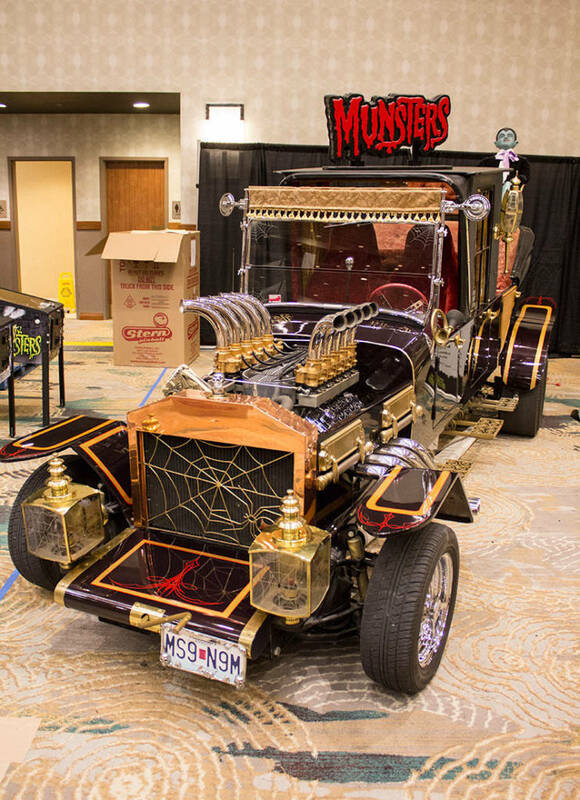 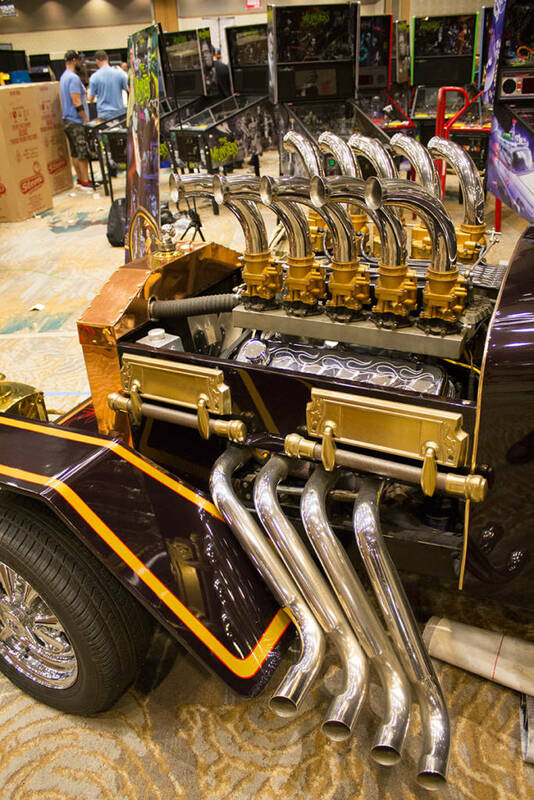 To go with The Munsters pinball, there are two very special vehicles. 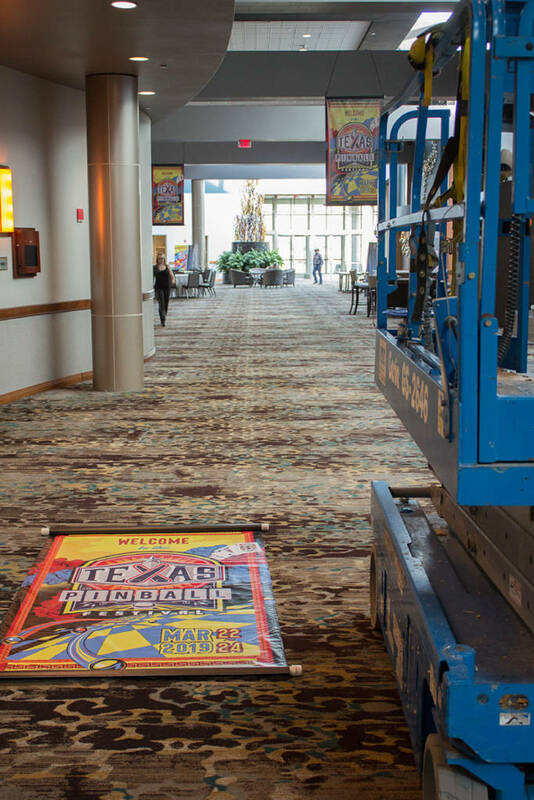 Elsewhere in the hall, Fun! 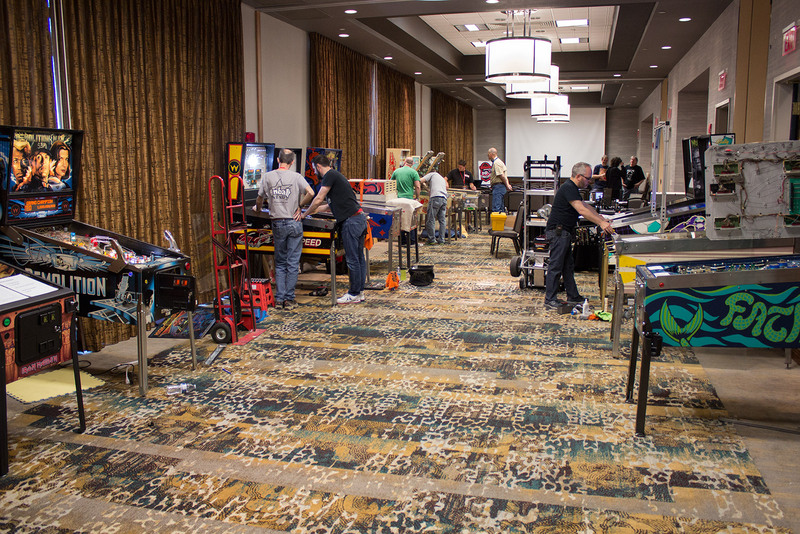 Billiards & Gameroom Superstore are featuring games from multiple manufacturers. 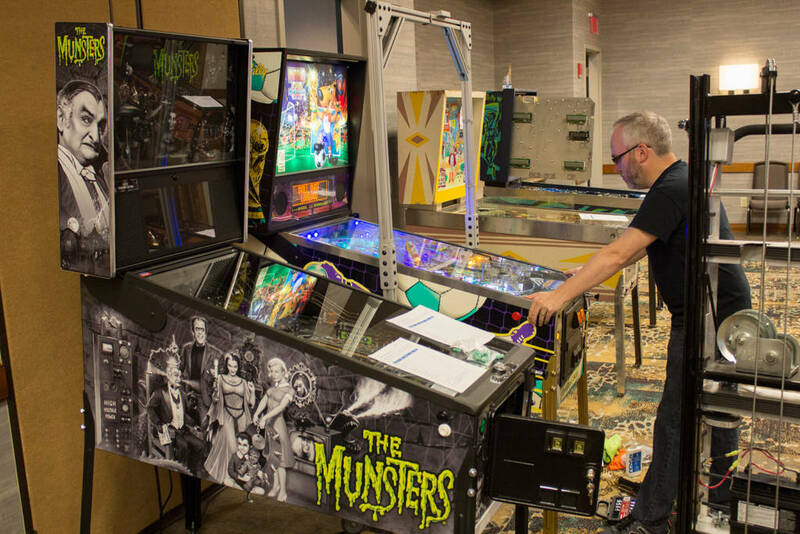 The multiple tournaments held at the Texas Pinball Festival usually occupy an area at the front of the hall. 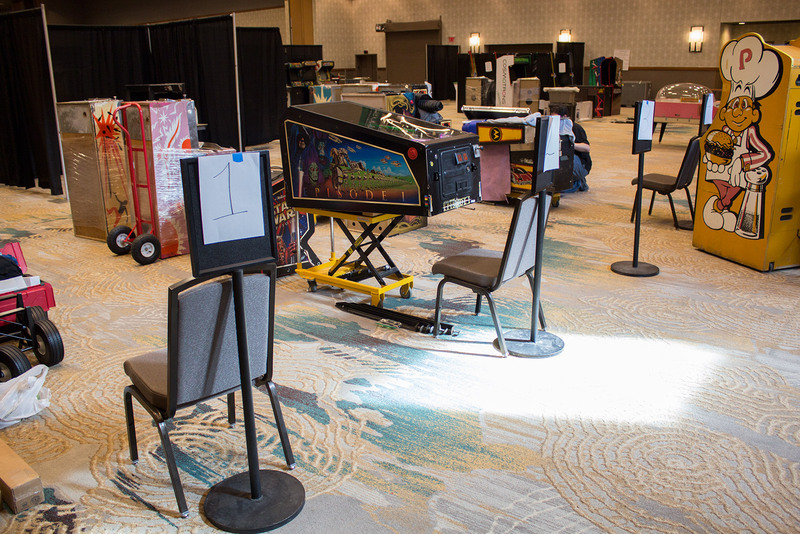 This year, however, they have moved into a dedicated tournament room opposite the main hall. There will also be a full schedule of seminars, starting at 6pm on Friday when Pinball News Editor, Martin Ayub, and Pinball Magazine Editor, Jonathan Joosten, host their So You Think You Know Pinball? 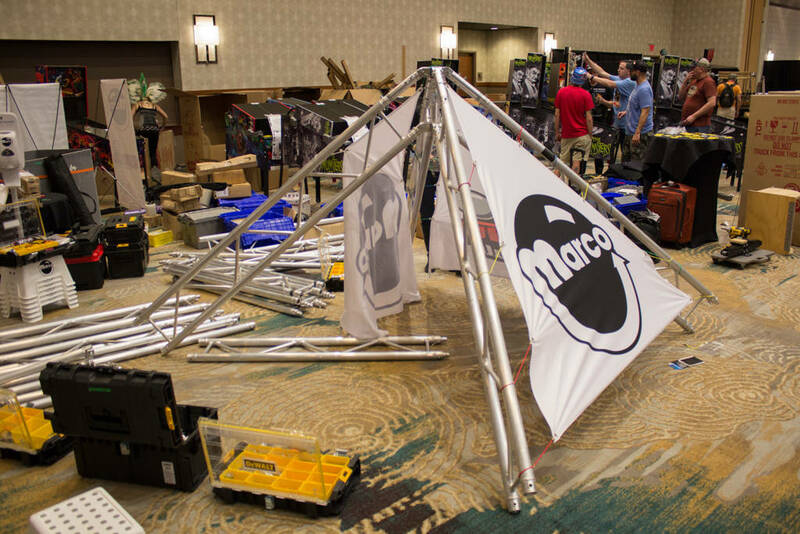 free prize quiz. 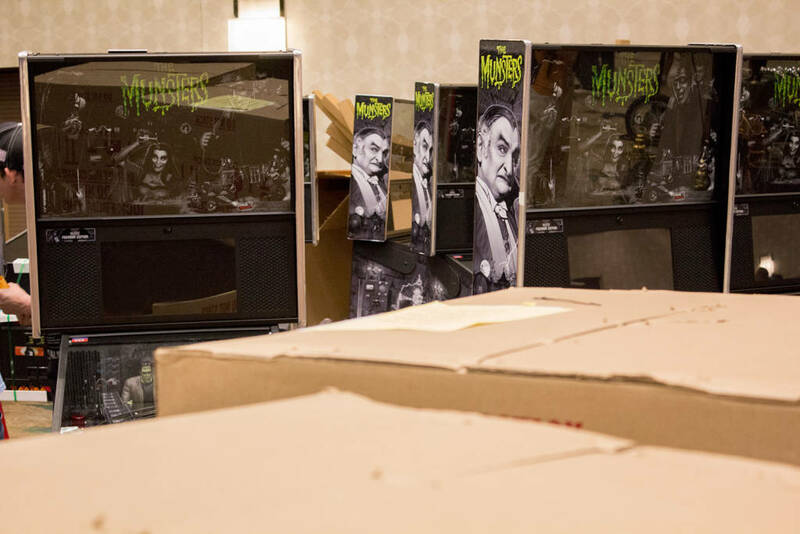 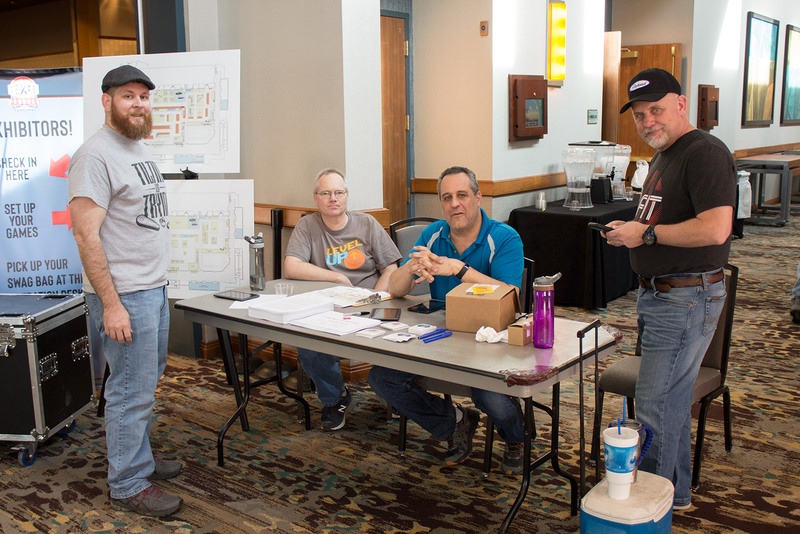 We’ll be back with lots more from the Texas Pinball Festival and frequent updates across all three days, as Pinball News reports live from Frisco.